New state-of-the-art facility in Coeur d'Alene, Idaho, offers a wide variety of services, including hair, nails, make-up, skin care and massage therapy, as well as spa and bridal packages. This site features Nick Sr's computer store and business, his wife's tool business, and his motorcycle pages. Son Nick II and his wife Carly also run this family owned business. ACDA is a non-profit organization founded by the Lost Boys and Girls of Sudan from the Ayual Community promoting positive change in South Sudan by providing educational support, health care and emergency assistance to Ayual community members both in and outside of South Sudan. TEC-USA was created by refugees from South Sudan whose common interest is to assist in the rebuilding of war-torn communities in South Sudan by empowering South Sudanese to determine their own future and well-being. This site, created in 2004, features the Lost Boys of Sudan who reside in the Chicago area and their various histories, activities and accomplishments. Includes writings by the Lost Boys telling their story of their journey from Africa to America; photos and much more. The Sudanese live by communities within tribes. This web site features the Abek community of the Dinka tribe and their ongoing progress towards helping those living in their home country village. 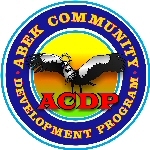 Started in 2005, it is now managed by members of the Abek community who have learned website development and management. Lots of fun at this site for my high school class. Includes many pictures: current, family, grandchildren and HS senior pictures plus yearbook photos of teachers; a very tasteful In Remembrance page, event announcements and reviews, and more. Web site by BCDEnterprises. ©2003-2015 BCDEnterprises. All rights reserved.